We've all heard the term 'favourite site' before, but what does it actually mean? It's not a site that you really just like, it's not even one you go to a lot (that would be your site of preference), no a favourite is when you actually save the website or web page to your favourites tool bar at the top of your browser. This means that you can get to the site withone-click rather than needing to type in www. each time. How great is that! Once you're in the clients favourites bar the hard work has been done for you! Expect the frequency of clicks to go up, the sales to rise and even the recommendations to get higher too, it's all good!This can come in useful if the buyer needs to refer to a partner or doesn't have enough time to complete their search and arrange a viewing. How do I become a favourite website? It's now even easier with UltraIT! Just one of the fantastic tools available to visitors to your property website is the 'save to favourites' option. This enhancement allows a person visiting your website to save their preferred properties for review when they next return to the site from the same computer. Making the decision process as easy as possible and saving the prospective client time is of paramount importance in these very competitive markets and with time conscious buyers. 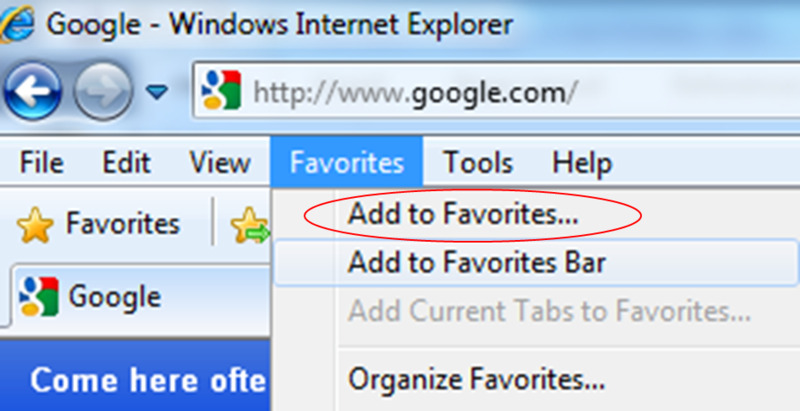 In addition to the ability to be able to save the favourites, it is now possible for the visitor to send these favourites to an email address of their choice. By being able to send the list to an email recipient they can share the information with a partner, friend or even themselves immediately or for review later. It can even be used by the buyer to send the list to another computer where the favourites will not already be saved.Having a facility where visitors to the site are able to share their finds with others can speed up the decision making processes and enable any additional parties to receive relevant buying information fast. If you don't already have this option as part of your package,contact our officefor a quotation to see how easy it is to have it added to your property website.